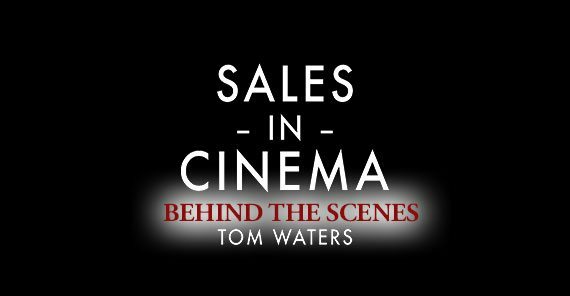 If you haven’t seen it yet, click here to view our third episode of Sales in Cinema! This blog post is a supplement to the topics outlined on our YouTube channel. I’m sorry to say, I will likely never do a TV show for Sales in Cinema ever again. Too much content, too many ideas and spoiler warnings makes for extra work and limited engagement. But I still freakin’ love Game of Thrones. No regrets. There’s so much strategy, rhetorical persuasion, and authoritative brand building I just had to explore it. It was the remarks of Tywin Lannister that inspired me to take a deeper look at the show’s lessons. Do you really think a crown gives you power? Over 2300 years ago, the famous philosopher Aristotle wrote a book called Rhetoric that boils down the core concepts of persuasion to three fundamental principles. Its teachings are still relevant thousands of years later. In order to be an effective influencer, you must appeal to one or all of these three principles. Represents the credibility, morals, and ideals of a person or brand. The Ethos of a person or group defines the spirit of their mission or values. It is the foundation of credibility and can be effectively called upon to convince your audience that your arguments are worth listening to. 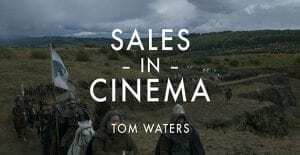 Tyrion called upon his Ethos in the scene analyzed from our Sales in Cinema episode 3 . Know your audience. What motivates them to take action? Which modes of persuasion are best applied in order to achieve a desirable outcome? Pace yourself. You will likely encounter cues if your message is not resonating in the way you want it to. Recognize that some people need help connecting the dots and work through it until you have common ground. Leverage your Ethos. If you are unknown to your audience but you represent a brand that is well known, gain credibility through association with that brand. Appealing to an audience through the use of logic, evidence, and premise. In our analysis, we posit that Ethos carries more weight for influence than the other two tenets of persuasion. Influence and persuasion rests largely upon whether or not your audience believes you are a credible source. Tyrion had the luxury of calling upon his family Ethos in order to solve a problem. I am Daenerys Stormborn of the House Targaryen, First of Her Name, the Unburnt, Queen of the Andals and the First Men, Khaleesi of the Great Grass Sea, Breaker of Chains, and Mother of Dragons. Leverage your strengths. If your brand is unknown and reputable, focus on your accomplishments in other relevant scenarios. Provide contrast. By providing contrast within your argument, you elicit a stronger emotional response which adds to a desire to take action. We outlined Ethos as the most important element of Rhetorical Persuasion because it serves more than one purpose. Ethos – Literally translates to “character”. It requires the ability to distinguish oneself as having strong credibility, morality, or wisdom. It shows that you are a person worth listening to. Logos – The root word for “logic”, Logos is a method of persuasion that uses evidence and reasoning to influence a conclusion. Pathos – The root word for Sympathy or Apathy, Pathos is an appeal to an emotional response. Telling a story to be more relatable, creating a fear of consequence, or evoking sympathy as a means to influence are among the most common tactics of Pathos.